What’s better than reading all of my books and getting your financial life in order? Reading all of my books and getting your financial life in order for a fraction of the price! The Christmas season is the perfect time to take a look at your finances and say no to incurring more debt this year! For the month of December, you can purchase our Christmas Bundle of all three books, for just $48 plus FREE SHIPPING. 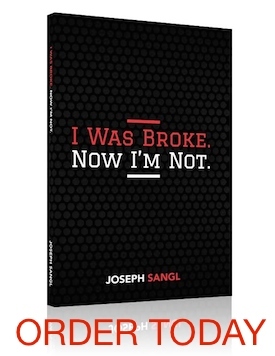 You will receive a copy of I Was Broke. Now I’m Not. (focuses on fundamental financial principles), Oxen: The Key to an Abundant Harvest (solely focused on investing), and What Everyone Should Know About Money Before They Enter The Real World (designed to help young people prevent money mistakes). During this time of the year, most people are focused on buying gifts for other people and that is awesome! You should be generous! But, don’t forget about taking care of yourself as well. If you take advantage of this offer, you will be armed and ready to take on the new year and make 2019 your best financial year yet! Remember, this offer is available throughout the month of December so make sure you check out the store starting December 1st!